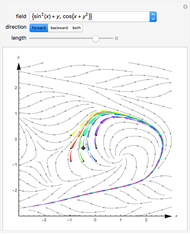 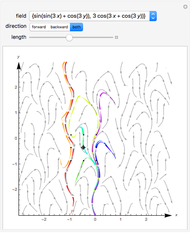 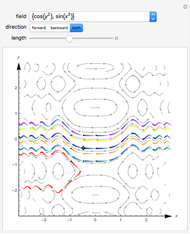 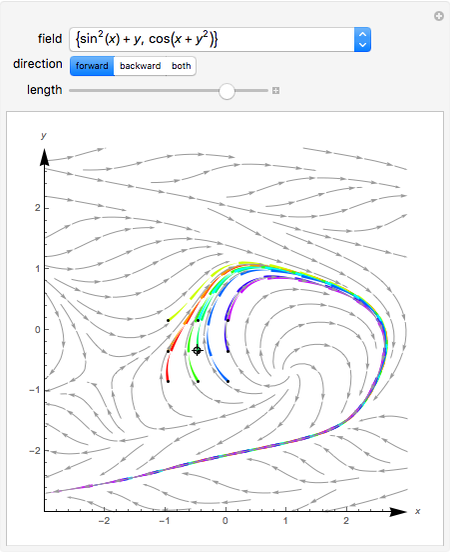 The colored streamlines go through nine points placed on a regular grid. 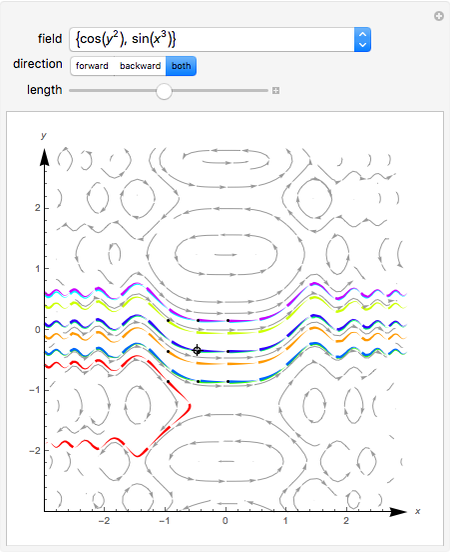 You can drag the 9×9 grid with the locator or click anywhere on the picture. 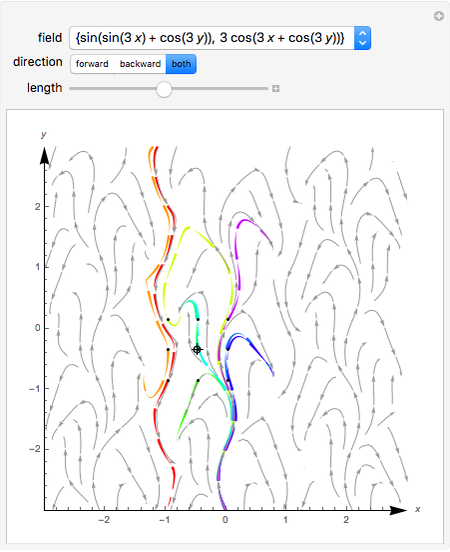 Gosia Konwerska "Flow of a Vector Field in 2D"